We recently installed these Rehau Heritage vertical sliding windows, giving the outside of this house a complete revamp. These windows are a great fit in both new and old homes. Rehau Heritage windows combine traditional design details and sight-lines of a timber box sash window, along with all the benefits of uPVC. This makes this system the ideal sash replacement window. Triple chambered profiles give these windows good thermal insulation as well as an ‘A’ window energy rating. The heritage range comes in classic PVC white, rosewood, golden oak and mahogany woodgrain as standard. In total, there is a choice of 19 woodgrain and colour laminate options available to order. 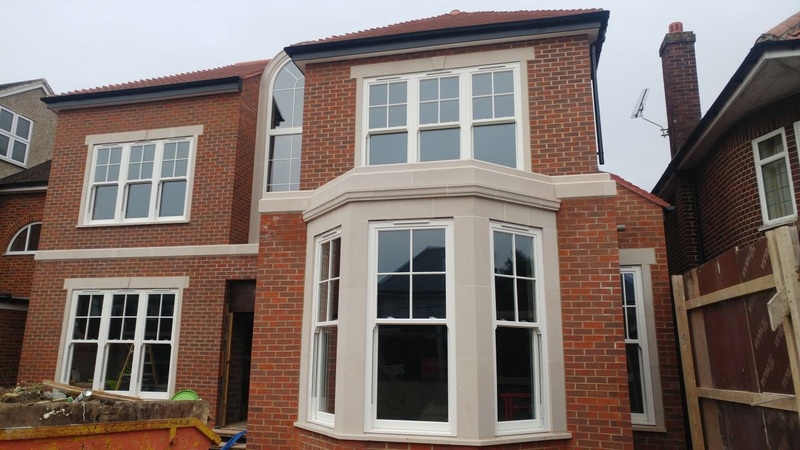 These windows are a great way to maintain the traditional look of your home, without the hassle of re-painting and re-staining genuine timber windows. Why not get in touch with us today to find out what we can do for you.